Mercy Mounthawk became a Health Promoting School in 2008. Our school works to promote a proactive health agenda among the students and teachers. 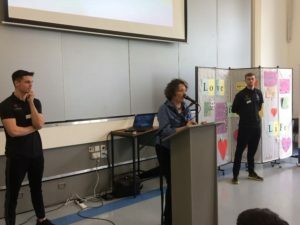 The school has a Health promotions team including teachers, students and parents which liaises with several external organisations to promote the Health agenda. 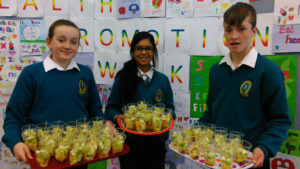 Each year the team organises two Health Promotion Weeks which focus the whole school community on the theme at hand. These weeks are very much in keeping with the holistic ethos of the school. 1st, 2nd and 5th year classes were given a session on wellbeing by students from the Health and Leisure degree course IT Tralee. 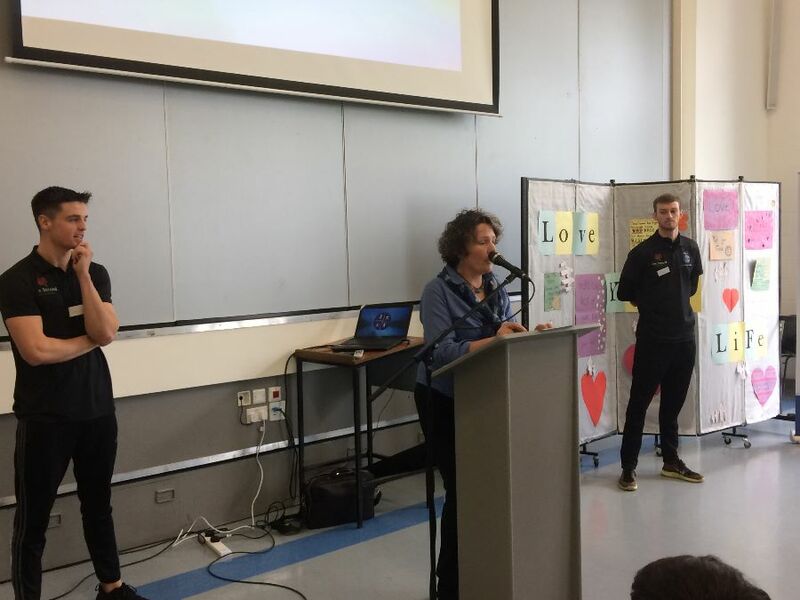 The idea is to encourage students who do little or no physical activity to start slowly and do indoor activities, without the need to go to great effort to tog out, go jogging etc. The hope is that they would then move on to outdoor activities and even enjoy them. We had a visit from two past pupils: Darragh O Hanlon and Partick McCarthy of A.C.T. (All Change Together). 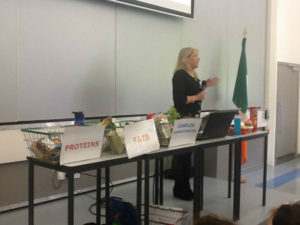 A.C.T aim to help people bring about Lifestyle change by focussing on Diet and exercise in a fun and dynamic way. 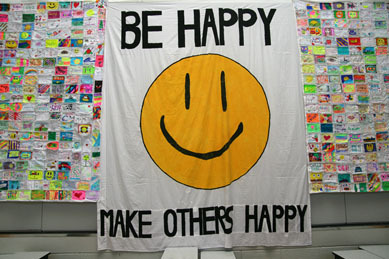 Darragh and Patrick bring oodles of energy, rapport, good humour and fun to their work, classroom sessions and seminars. They brought along crates of Lee Strand protein milk for our students to enjoy, which of course, were snapped up by eager students within seconds. A.C.T went down a treat with our students and we look forward to having them back next year. 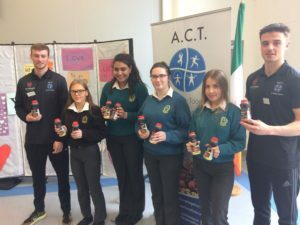 Our Health promotion week in October this year focused on food , diet and nutrition.On Tuesday the week was launched by Shane Finn the Ultra Marathon runner from Dingle.On Wednesday our 2nd years participated in a “Sugar Demo” where they were encouraged to taste sugar water reflecting the amount of sugar in soft drinks commonly available.We also had a lunch audit of what the 3rd 6th years brought for lunch that day. 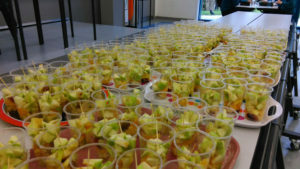 There will be a follow up survey in April to note any improvement in eating habits.Torthaí Thursday involved fruit cups distributed to our 1st years and on Friday there was a Family Five K fun run for 1st, 2nd , Transition and 5th Years. 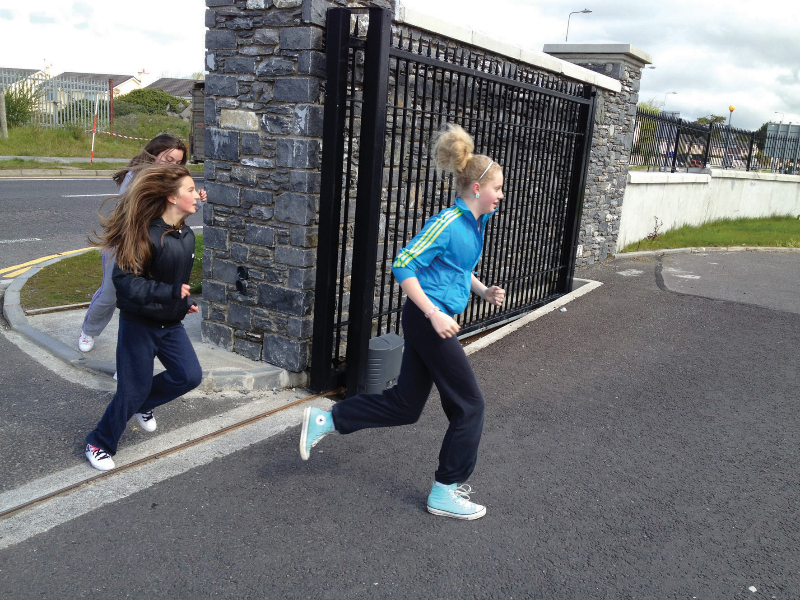 Mercy Mounthawk was delighted to promote its inaugural 5k challenge Tuesday 8th May. 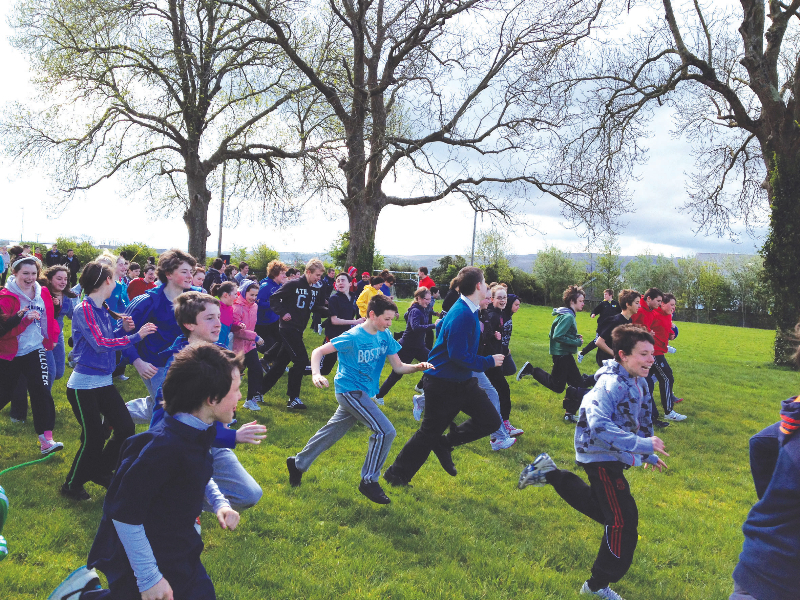 Almost 700 pupils, staff and parents completed the 5k. 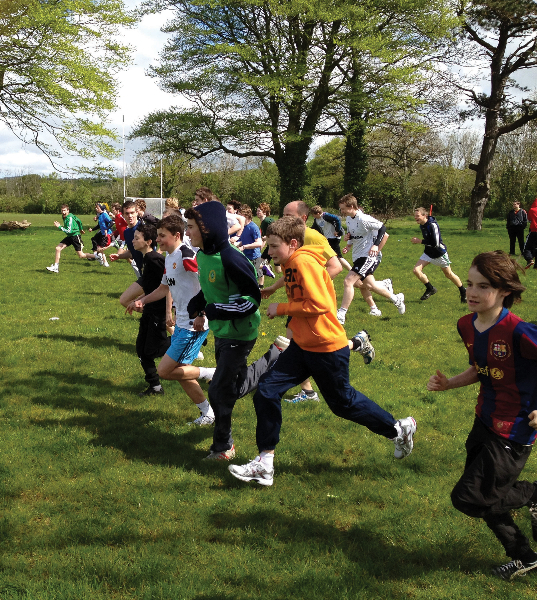 Participants could run, jog or walk the distance and the glorious weather on the day ensured that numbers were high. Members of an Garda Síochána cordoned off some of the route to ensure safe passage and the help of parents and staff alike ensured everybody remained safe on our roads. Emphasis on the event was on participation and organisers were keen to express that this was not a race. 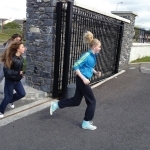 This event was aimed more at the sedentary pupils who may not have enough exercise in their daily lives. 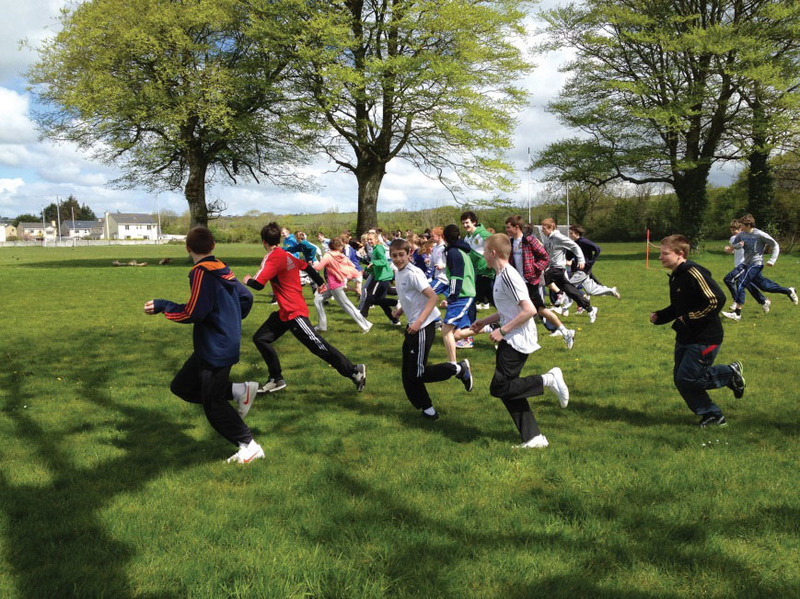 It is hoped that by completing 5k and experiencing the pleasures of walking or jogging, many of these pupils may make lifestyle changes to become more fit. 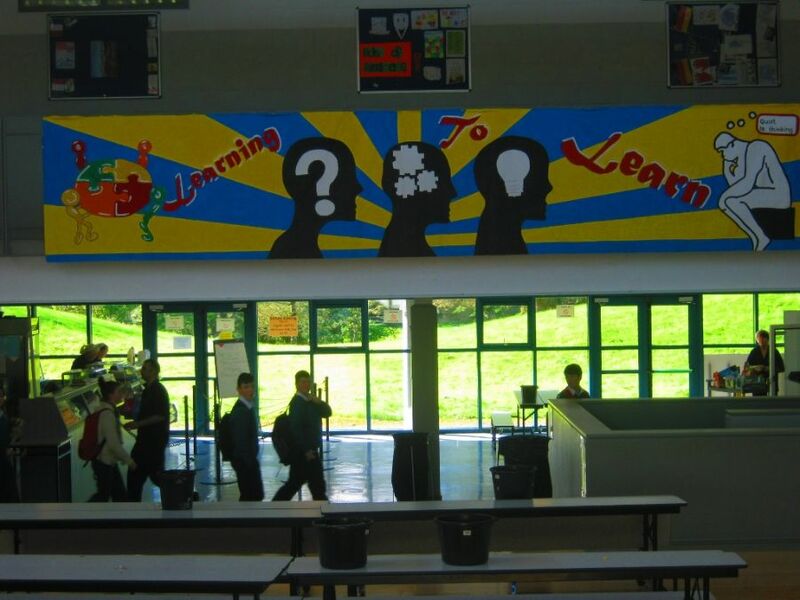 Learning to Learn – the emotional component. This year our Health promotion will focus on the agenda of emotional intelligence as part of core skills that each students needs in Learning how to Learn. For many people difficulties experiences in application to study or work have little to do with ones intellectual ability, but instead are very often related to emotional issues such as coping with anxiety, not feeling motivated just now, keeping up interesting in something, getting over a disappointing result or feedback. Issues such as these are very often at the root of a poor productivity and application. And so it is that learning how to manage ones own emotional self is a central plank of study skill development. 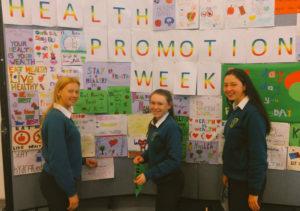 Our 1st health promotion week this year will focus on the issue of motivation in 2nd and 5th year students. It is often in these ‘non-exam’ years that students find it most challenging to maintain motivation. During this week in late November, we will have workshops for students and parents on motivation and the formation of good study habits.